I’m on fire! 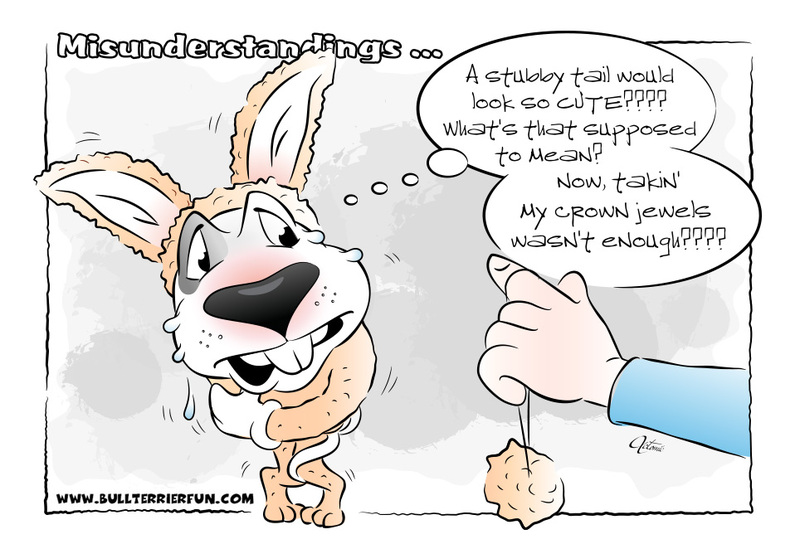 Here’s another funny Bull Terrier Easter Cartoon just for you guys! If you want to, use it to send a funny Bull Terrier Easter greeting with my eCard service for FREE! Or, if you prefer printed paper cards, you can buy this theme in my Zazzle Funstore on a printed greeting card or postcard. Just a little bit of fun today! It’s amazing how strong these dogs are! Enjoy Mila the Bull Terrier jumping like a Kanagroo! Early in order to give you a chance to notice: This is my Easter cartoon. If you want to, use it to send a funny Bull Terrier Easter greeting with my eCard service for FREE! Sometimes there are those ideas. you know they’re mean, but you have to draw them anyway – because they’re just so hilarious.